← Gluten-Free Pasta to Go: Hello, Pasta Flyer! Last week, I spent a wonderful (albeit too short) five days at Arenas Del Mar Beachfront and Rainforest Resort near Manuel Antonio, Costa Rica. This trip went far above and beyond any of my expectations. The staff was stellar. The food was delicious, fresh, and most importantly, all gluten-free for me. The jungle and beach combination was just perfect for my vacation and I wish I could back! I have so much to share with you about the trip, but I thought I would start with the real reason I went to Arenas del Mar. I went for the gluten-free food. From when I first checked into the hotel, I was impressed and did not feel like I was getting any kind of special treatment as a gluten-free blogger. I truly believe that EVERYONE gets the same stellar treatment that I did during their stay. I watched, I listened, and I saw the same friendly and excellent customer service for all guests. It was impressive! As I mentioned in my previous post, the staff at Arenas Del Mar is going through the GREAT Kitchens training program with the National Foundation for Celiac Awareness. Although I thought just the kitchen staff was being trained, it seemed like others throughout the hotel had a great awareness. Jorge, the manager, also told me he was going through the training soon which I thought was a great testament to how seriously the staff is taking this training. Me (center) with the amazing restaurant staff of Arenas Del Mar and Denise (2nd from left) of San Diego, CA. She was also a gluten-free guest and loved the food! A special thanks to Jorge, the hotel manager, on the far left for making my stay so great! Ok, now on to the food! I ate every meal during my time in Costa Rica at Arenas del Mar except one when I went ziplining. There are two restaurants on the grounds of the hotel: El Mirador Restaurant near reception (Click here for the dinner menu) and Playitas Restaurant and Bar right on the beach. Lunch and dinner are not included with your stay, so budget about $50-75 per person for food and drinks each day. Breakfast is included with your stay and it is amazing! 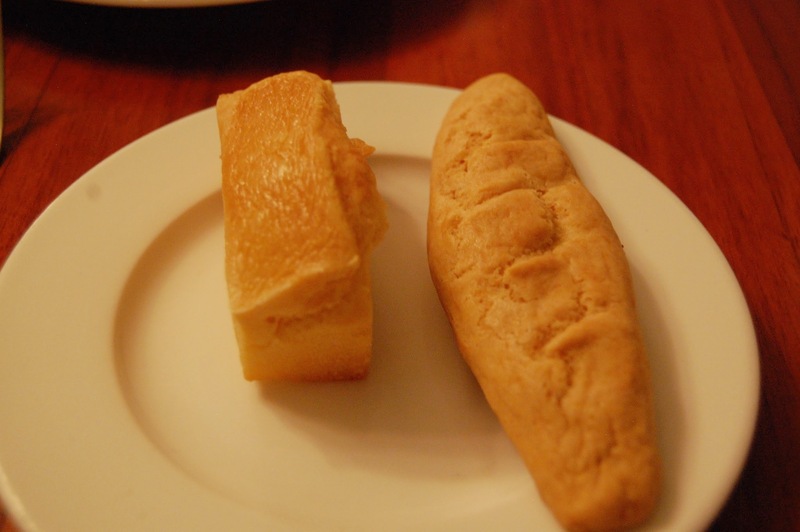 Much of Costan Rican cuisine is naturally gluten-free. There was always lots of fresh fruit, beans, rice, meats, chicken, and fish. This made my dining decisions relatively easy. Even with the naturally gluten-free menu, the staff went the extra mile to ensure that my meal was totally safe. During check-in, the reception staff asked me if I had any food allergies. I told them “Yes, shellfish and gluten” and they must have made a note on my “guest chart” about these dietary restrictions. I gave a simple reminder to the waitstaff each time I sat down to eat at one of the two restaurants at Arenas Del Mar. They eased my nervousness by repeating “gluten-free” when I placed my order and again when they brought me my plate. By the end of my stay, the staff all knew I was gluten-free and I think they expected me to ask, ask again, and then take pictures of my food. It is just what I do! The food at Arenas del Mar is fresh, some of the freshest food I have ever tasted. Each dish takes some time to prepare, but it is worth the wait. The food clearly was made just for you and wasn’t sitting in the kitchen for hours. This quality and attention to detail did not go unnoticed. LET’S EAT! VAMOS A COMER! Let’s start with my top three favorites. 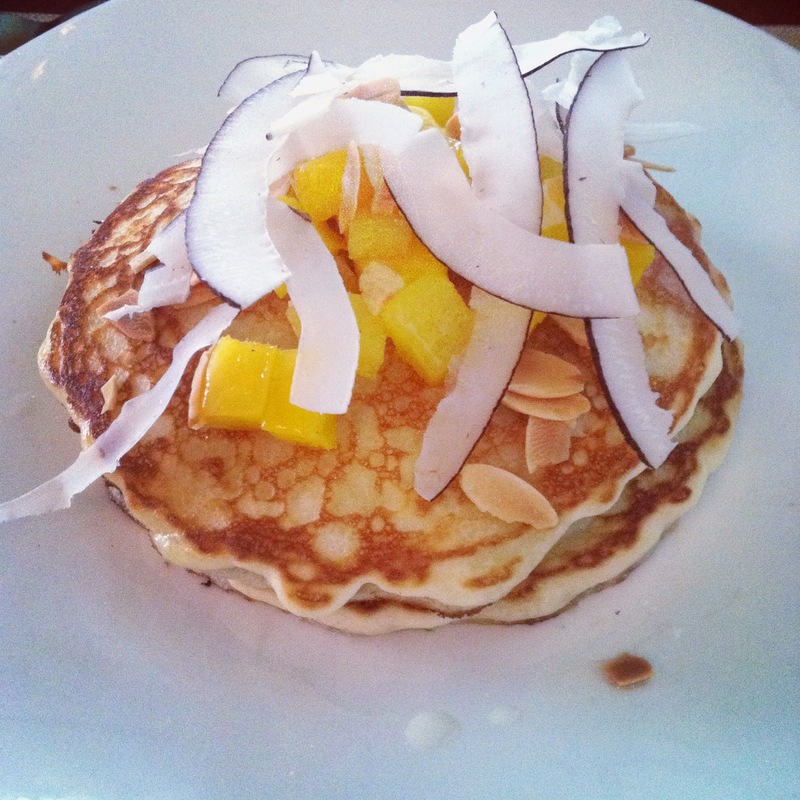 Gluten-free pancakes served with almonds, mango and coconut. Syrups for pancakes: sugar cane syrup, mango puree, coconut syrup. 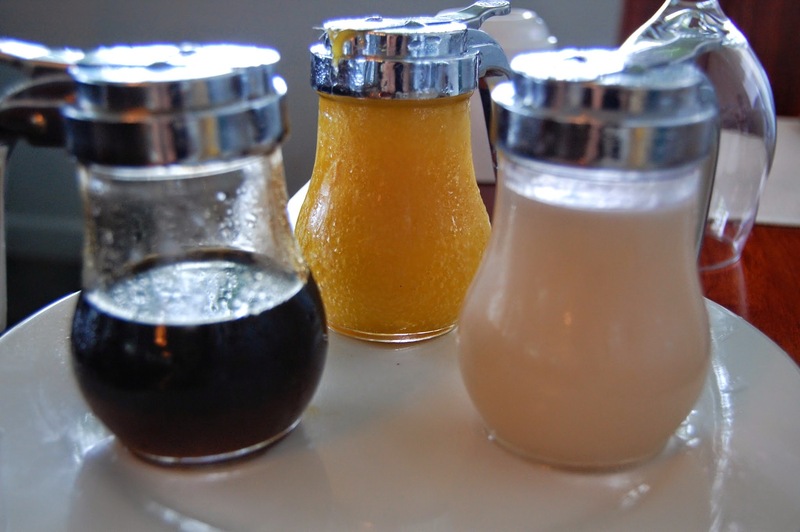 See that beautiful orange mango syrup in the middle? I literally could have eaten the whole pitcher with a spoon. It had the consistency of baby food, but tasted amazing. I slathered my gluten-free pancakes with this mango puree each morning! 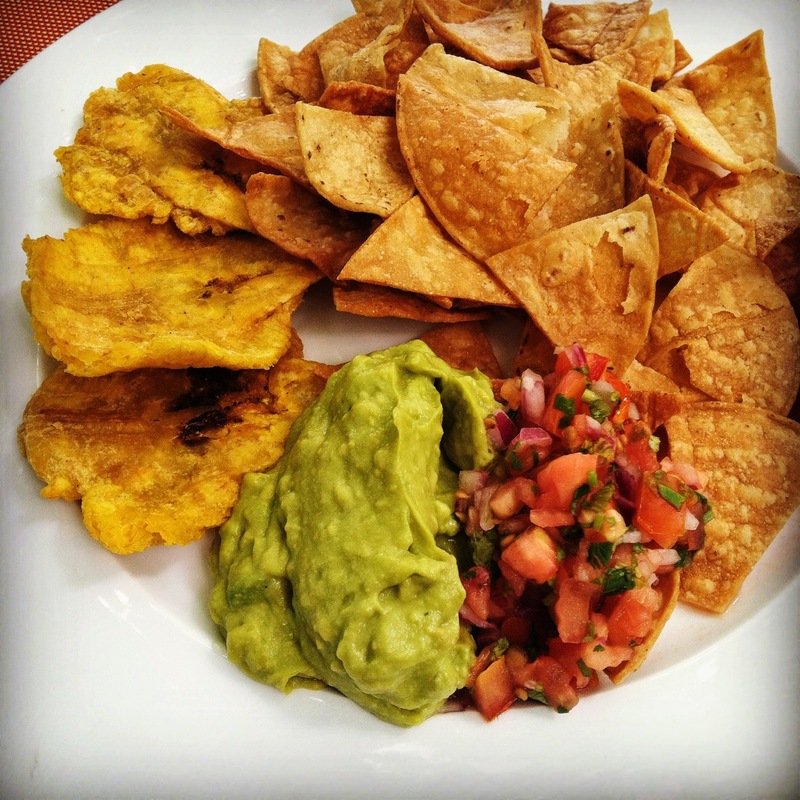 Homemade Chips: Crispy tortilla chips and house-fried plantains served with pico de gallo and guacamole. 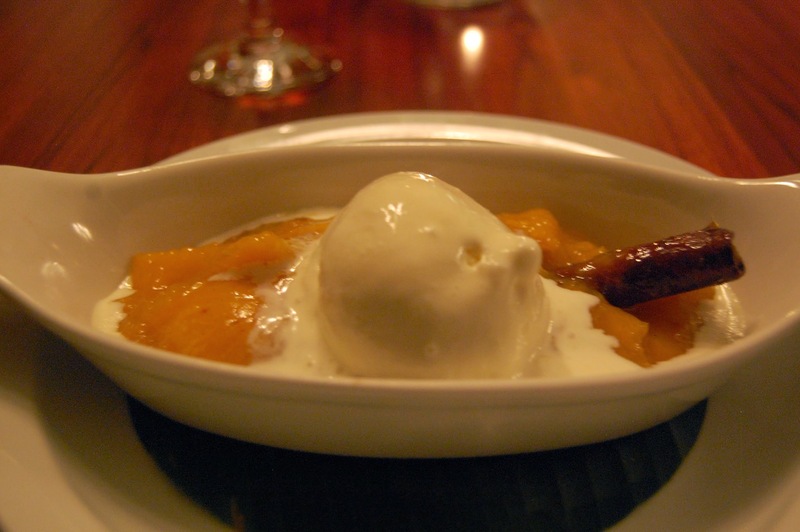 This next dish is a traditional Costa Rican dessert called Miel de Mango. I was told by my waiter William and Jorge, the manager, that dish is usually prepared during Holy Week. It is mangoes cooked into almost a syrupy chutney with sugar and cinnamon. This was topped with vanilla ice cream. William apparently brought the ingredients with him from home to make me this special dish. It was delicious and felt very decadent. 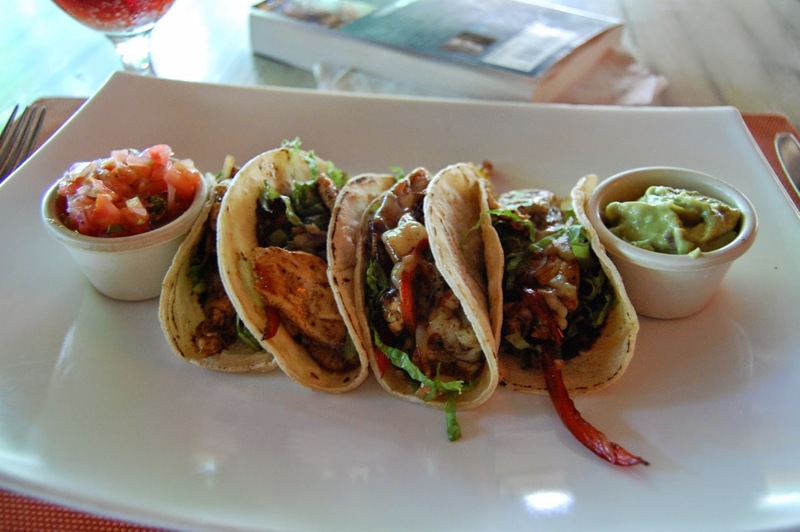 Arenas Beach Gallos: Fresh house made corn tortillas with beans, cheese and your choice of shredded beef or chicken, served with a side of pico de gallo and guacamole. 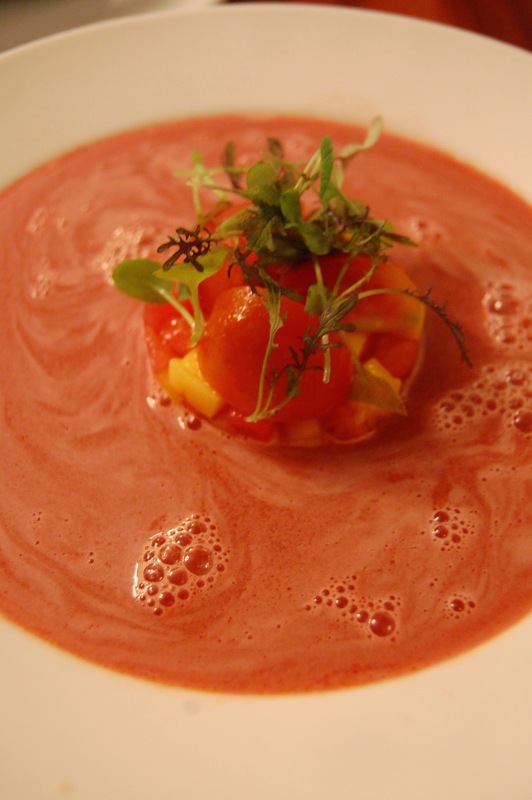 Watermelon Gazpacho with mango, mint, and cherry tomatoes. 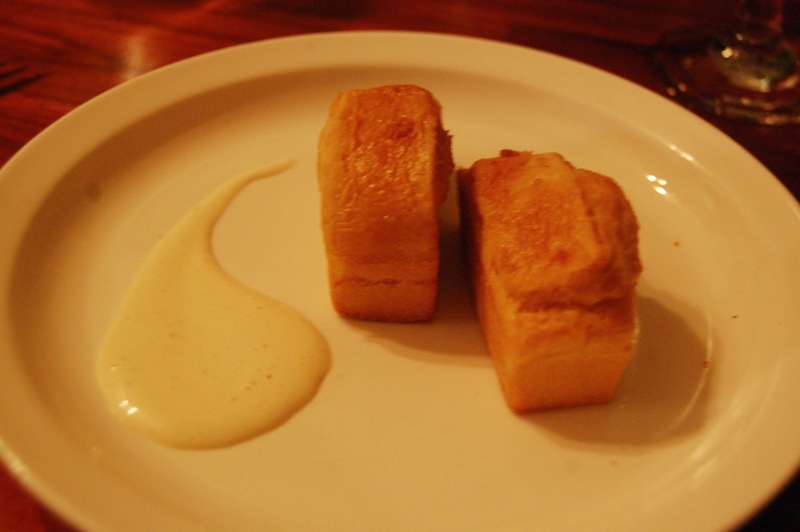 When I ordered this dish the first night, the waiter had to come back and tell me that the original dish was made by mistake with regular bread and they were going to remake the entire dish. They asked if I minded waiting and I said of course not. I was impressed he mentioned this at all. It was delicious and I ordered this twice during my stay. 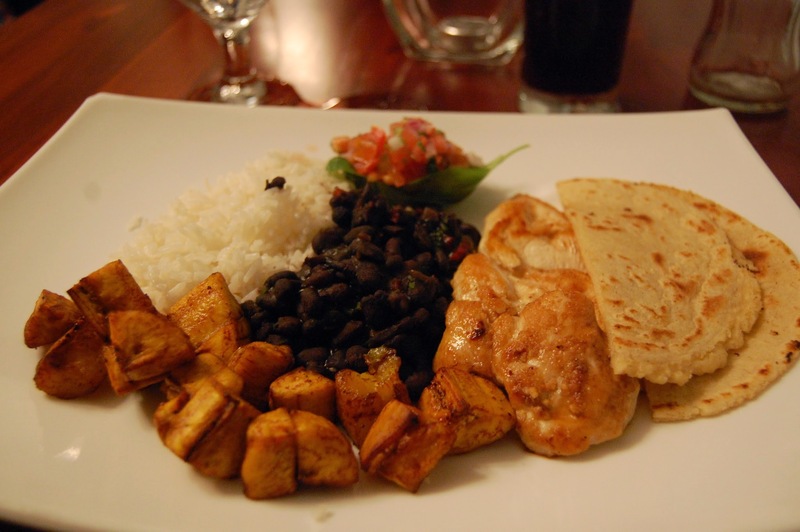 Costa Rican Casado: A traditional dish with white rice, black beans, sweet plantains and pico de gallo salsa. You can choose chicken, meat, or fish to be added to this meal. I had chicken one night and meat one night. 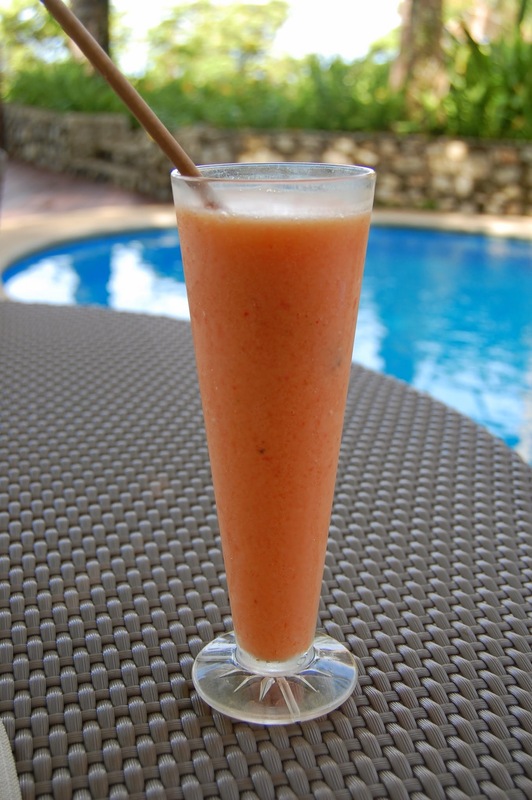 Lots and lots of fresh fruit: papaya, banana, cantaloupe, mango, pineapple, and watermelon. 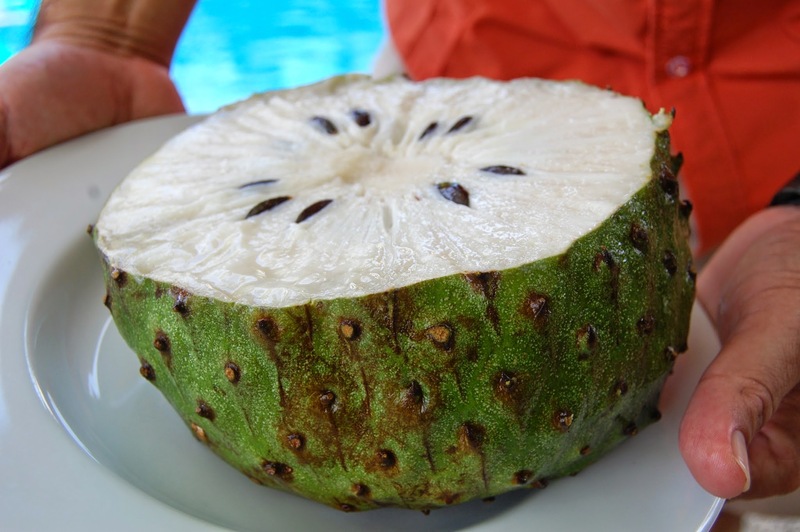 New-to-me fresh fruit: guaynabana (soursop in English), nance, and guava. The first two I never heard of before. 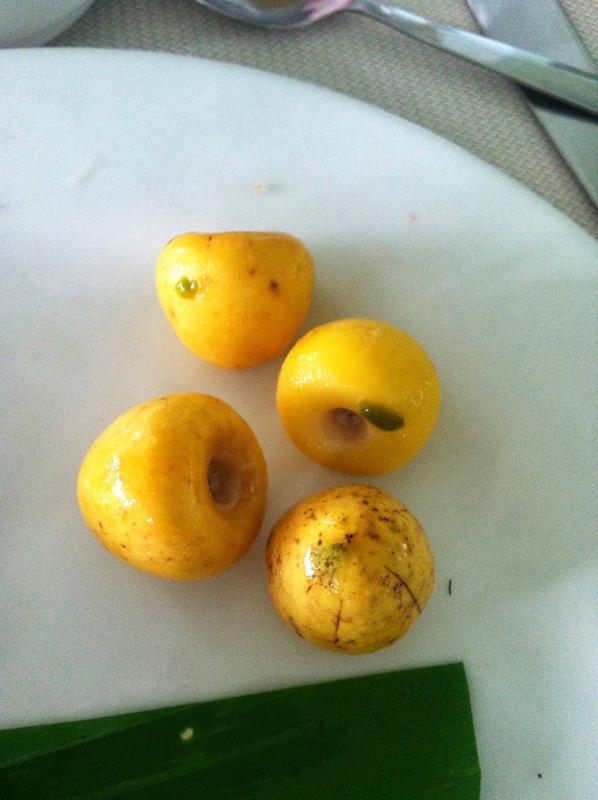 The guaynabana was delicious and unlike any fruit I’ve eaten in my life! 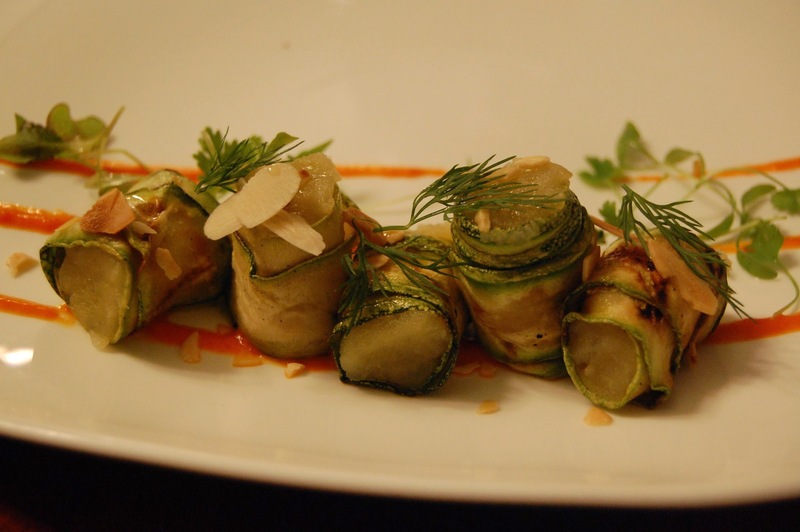 Zucchini Rolls: Grilled zucchini, sweet potato and almond mousse, dill and sesame emulsion. Zucchini rolls, almost too pretty to eat! 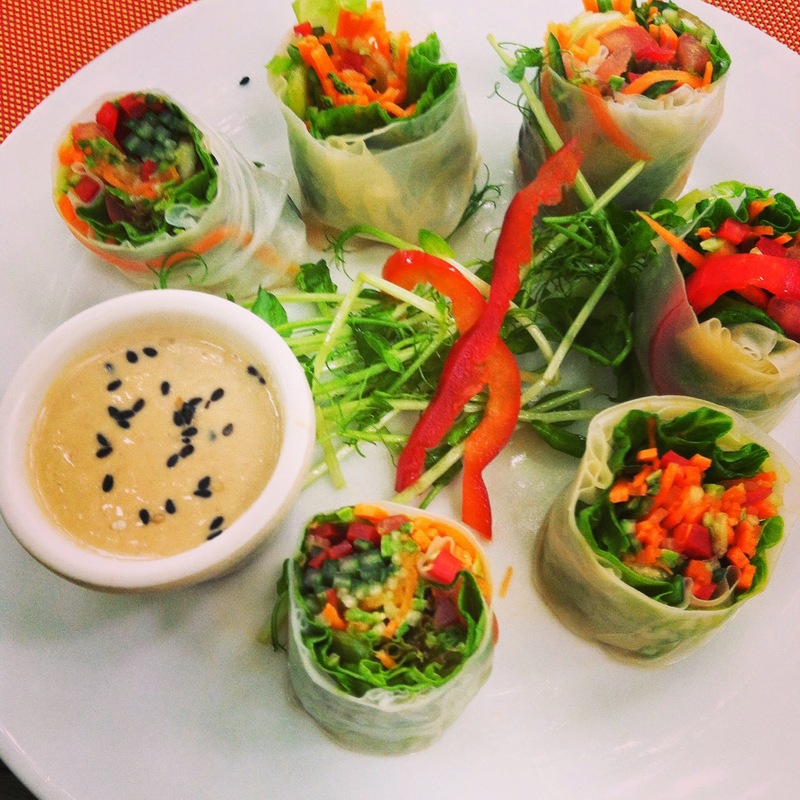 Vegetable Spring Rolls: Soy marinated market vegetables wrapped in rice paper and served with our special peanut sauce. When I ordered these spring rolls, the waiter asked me if I was ok with both soy and peanuts. I appreciated his extra step in making sure I was eating safely. 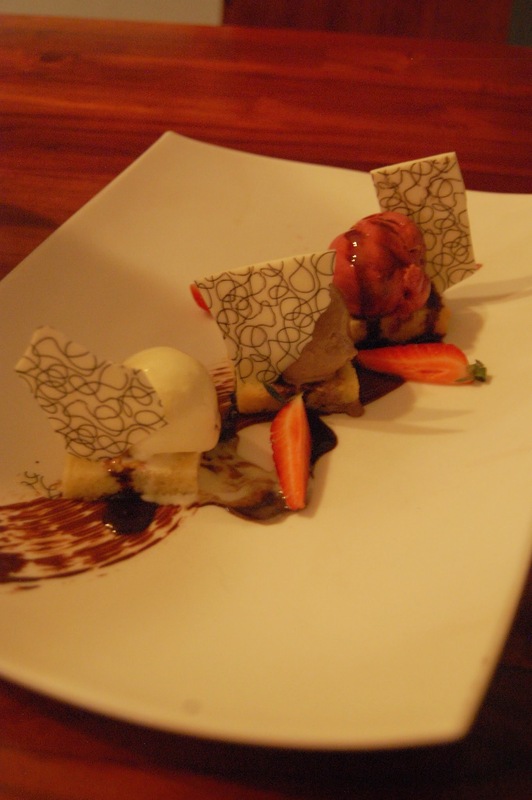 This was another off-the-menu dessert prepared especially for me. It was chocolate and vanilla ice cream and berry sorbet on top of gluten-free cake. The beautiful topping was edible white chocolate art. I was stuffed after dinner, but managed to make room for this work of art! Last, but certainly not least, I need to share with you the juice of Arenas del Mar. Each morning, you can start your day with fresh juice. Georgette, from the restaurant and bar, made the best mixed fruit juice for me in the morning. And check out that straw. It’s bamboo! 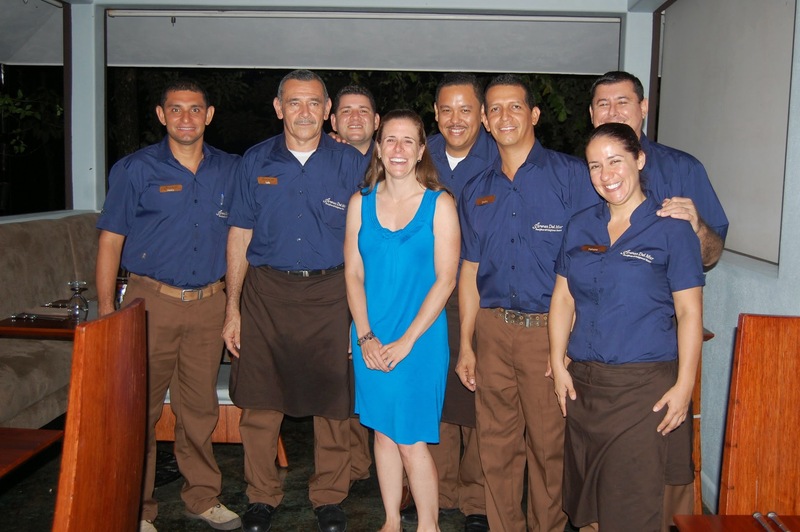 I want to personally thank all of the kitchen and restaurant staff at Arenas Del Mar. I ate safely and deliciously gluten-free all week long. I wasn’t nervous about the food at all and never got sick. When traveling so far from home, this is often a worry for those of us with Celiac. The staff was extremely knowledgeable and it is obvious that they are all working hard to learn more about gluten-free food and Celiac disease. All of the staff took my food requests very seriously and I never felt like I was being treated like a picky eater. Thank you Arenas del Mar for a delicious and welcoming stay. I cannot wait to go back to Costa Rica again. Thank you! Thank you! Gracias! Gracias! Stay tuned for more photos and highlights from my trip to Costa Rica in future posts. The staff at Arenas del Mar can obviously prepare gluten-free meals every day of your stay. Later this year, there will be two 100% gluten-free weeks at the hotel. There will be special guest chefs from the United States cooking for you during your stay. Read more about these Celiac Weeks here. For further details, please contact Jeremy Allen, Program Director and hotel Partner at AllenAllen@aol.com or 1- 610 407 9371. 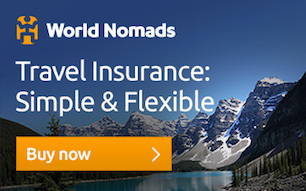 Please tell Jeremy you learned about Arenas del Mar from Erin Smith of Gluten-Free Globetrotter! * Arenas del Mar hosted my 5-day stay. The views and opinions expressed in this blog are purely and entirely my own. 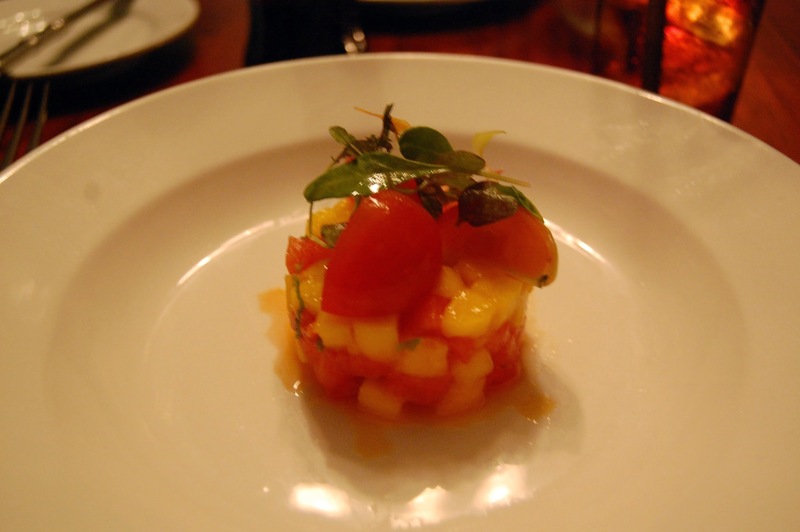 Gallery | This entry was posted in Costa Rica and tagged Arenas del Mar, gluten-free, restaurant, review. Bookmark the permalink. The guaynabana looks so interesting! And, I’ve been so excited for this post because our family has been looking at this resort as a future vacation destination. Glad you had such a good trip! Kaila, I highly recommend it! I would be happy to connect you with Jeremy directly if you are serious about wanting to stay at Arenas Del Mar. The food was amazing and the staff felt like friends. It was a great trip! It’s on our list of possibilities for Summer 2015, so I’ll let you know if it ends up at the top. Thank you so much! I know the resort is thinking of even more gluten-free weeks in 2015. Keep in mind that summer is their rainy season. I had 2 days of rain which didn’t bother me at all. You are in the rainforest so it is to be expected. Thank you very much for the great post. Very interesting. We always wanted to go to Costa Rica but were not sure about the food. One question: do you speak Spanish or do they speak English? This is a great question! I speak almost zero Spanish and I forgot to bring my Spanish translation cards with me. Not a problem at all. All of the staff spoke English fluently. 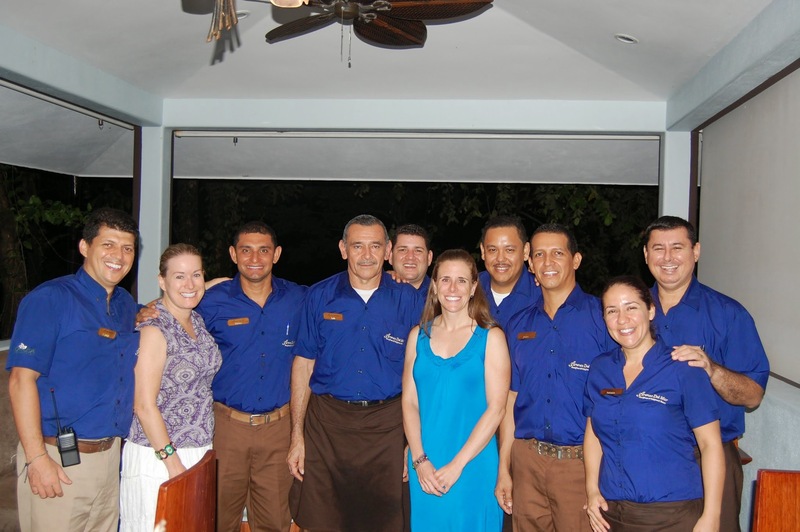 The staff is also happy to help you learn Spanish and teach you new words throughout your stay at Arenas Del Mar. I also found that outside of the hotel, most people spoke English. It is a very tourist-friendly country. Estaba deseando leer tu cronica, segui tu viaje por instagram y disfrute de cada foto que subias! Un paraiso al alcance de los celiacos. Sueño con ir a un sitio asi donde no preocuparme de la comida. That all looks so amazing!! 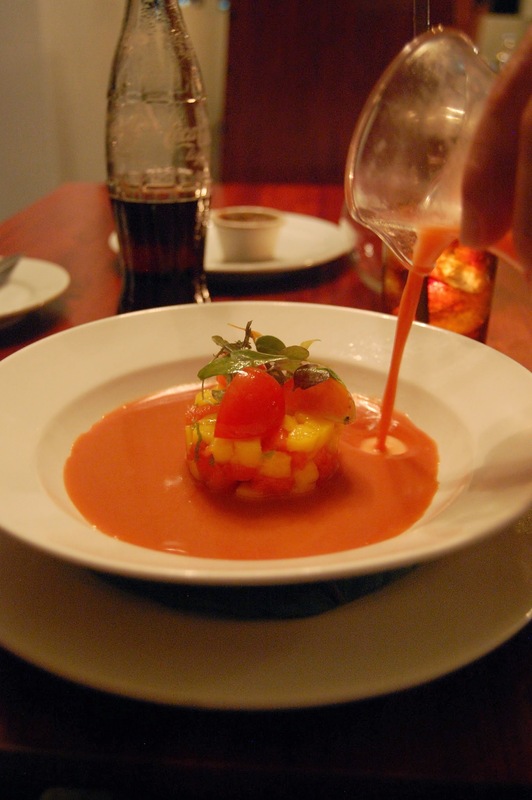 I’ve been to Costa Rica although never to that area – and I have had good experience eating GF at resorts, they did a fantastic job of listening and accommodating, although there were no GF specialty items like you had. This resort is definitely going on my travel wish list! Thanks for the comment, Jenni! It really was a very unique experience. This area is so beautiful. I cannot wait to go back and explore more of the country. Let us know when you’re on your way Jenni! Our GF menu has been really well received so far and we’re excited for you to try it. We are headed back to Arenas Del Mar for our 3rd time ..We leave in two weeks. I agree with you, the friendliest people in the world. Glad you had a nice time. Thanks Leah! We can’t wait to see you.